From the well-known, fictional story of a doctor gone mad with power, Dr.Jekyll and Mr. Hyde the slot machine really captures the essence of the story. It resembles the story of the HULK, but Dr. Jekyll only turns into Mr. Hyde, the hideous and vicious monstrosity after he takes a potion and not when he gets angry. Due to the popularity of that theme, Betsoft gaming, which is one of the top gaming developers in the industry has decided to build a game that is inspired by that story and conveniently named it, Dr. Jekyll and Mr. Hyde. 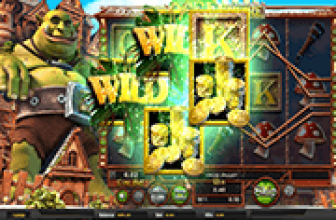 This game is a 3D slot machine that comes in amazing 3D visuals and outstanding sound effects that capture the attention of players and succeed in creating an immersive and a highly engaging gaming experience for players. 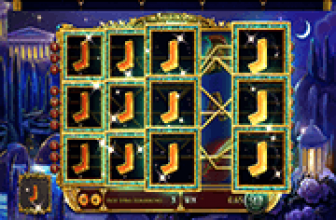 This gaming experience comes in 5 reels and offers players a grand total of thirty paylines that they are invited to place their wanted wagers on. The reels themselves are located inside the house of Dr. Jekyll and he will accompany players through the experience as he can be found on the two sides of the reels at all times. As for the symbols that will be appearing for players on the reels and the lines, they include Dr. Jekyll, Mr. Hyde, the magical potion, a police officer, the fire place, Dr. Jekyll’s house, a book, a bloody newspaper and a golden key in a lock. All of these symbols can turn into animations whenever players manage to create a winning combo or trigger a bonus feature. Speaking of payouts, players will be able to check all of the payouts that the game has to offer by clicking on the View Pays button. 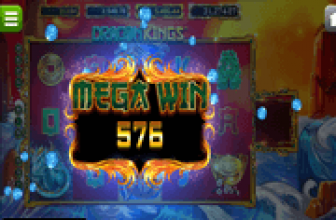 The biggest line payout that can be found at this game is equal 1200 and it is given to players who get 5 of the Dr. Jekyll symbols on the same payline after activating it. They will also be able to view all of the special symbols and features that the game has in store for players. The first of these special symbols is the logo of the game which does not give payouts on its own, but it acts as a wild icon that can replace Dr. Jekyll symbol and Mr. Hyde symbol and it can also contribute in triggering bonus rounds. Wild Hyde symbol also acts as a wild but for all symbols, with the exception of Jekyll, Hyde and the logo of the 3D video slot. When the blue potion lands on reels II and IV next to Mr. Hyde symbol, players will get a bonus that will multiply their set wager. This bonus multiplier can vary between 5x and 20x their original bet. Collecting red potions would full up the meter during the main game in order to unlock the free spins round for the lucky players.